Welcome to the magical NFL off-season. It’s the time of year when the games are over and the media has absolutely nothing to talk about, so they overhype every non-issue and try to make it seem tremendously important. If you’ve ever listened to sports talk radio during the offseason you will notice a pattern. The NFL media loves to jump all over the league’s crime “epidemic”, as if it’s something new, bash the hell out of Roger Goddell (not to say he doesn’t deserve it), overanalyze the upcoming NFL draft, and, my personal favourite, announce every contract restructuring and go on a rant about how the NFL players are getting screwed. Which they are. Sort of. 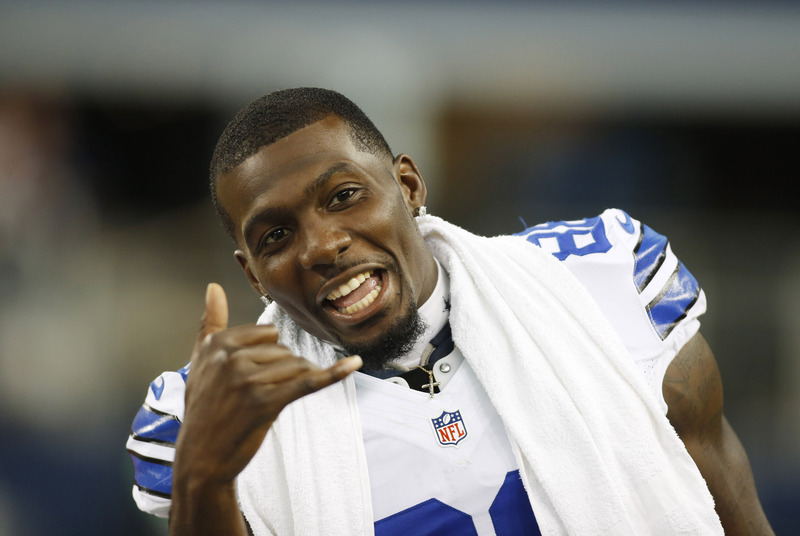 Dez Bryant would like to call you to talk about contacts. It’s a fun little nugget people like to throw out about NFL contracts not being guaranteed. It’s true, but it’s being oversimplified. For an NFL player, base salaries are not fully guaranteed. This part is true. You CAN guarantee parts of the salary but historically only the first one or two years have been guaranteed for only the upper tier players, or not. This guarantee is essentially worthless however, because teams are not signing a player to a long-term contract and then cutting him before Year One. Furthermore, unless something catastrophic happens you probably believe in that player enough to give him a second year. Unless you’re Michael Oher. Roster bonuses are also not guaranteed, but they do have a “drop dead” date. If you are on the team past such-and-such a date they have to give you the roster bonus, which is usually a nice lump sum of money. The “non-guaranteed” caveat people tend to focus on, overlooks a few important points which benefit the players. Specifically, contracts can be restructured, and Americans love screwing themselves over tomorrow to help themselves today. No matter how much the team pays a player on Day One as a signing bonus, that amount automatically hits your cap for the exact same amount over the life of the contract OR Five years (whatever is shorter). i.e. a $5 million signing bonus will count as $1 million against your cap for five years). So, let’s run through a basic example. You’re my star wide receiver. Our team is great and I really want to keep you, but we’re up against the cap. In reality, let’s say you’re a $15 million a year player. I want to show you this value as a salary, but I also want more money to spend on other players this year. Here’s what I do: I sign you to a $51 million contract over three years (to be simple), with a $30 million signing bonus (cash money on Day One) and $21 million as salary. So congratulations I just cut you a $30 million cheque before you’ve touched the field for the 2015 season. The total dollars at the end of the three years are the same ($51 million) but I pay more cash in Year One and have less of a salary cap hit because I get to spread the signing bonus over three years. Basically, this gives me your services at a very nice price this year, but screws me over in the long run (but I’m an accountant, and in the long run we’re all dead). 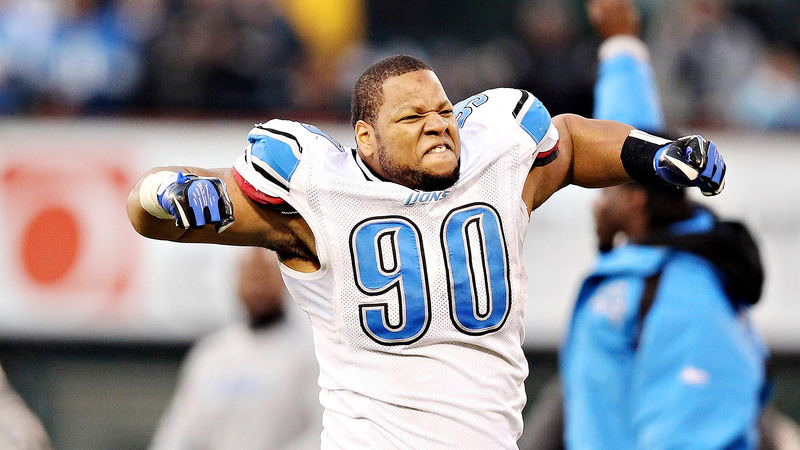 Ndamukong Suh feels very passionate about this. Let’s move to 2016. The season didn’t go as we expected and you underperformed. You were a disappointment but not a massive disappointment (think the Dolphins’ Mike Wallace in 2014). Here is where you get a bit of leverage, and this is what many people overlook: I can’t cut you! Well, I can cut you but remember Rule #2: If I cut you the rest of your signing bonus immediately goes against my cap. I’m going to have a $20 million cap hit for you not to play here anymore, and I have to sign another WR to replace you on top of the cap hit you already took this year. Like I said, I can cut you, but… I can’t cut you. At the same time I can’t afford to have the $20 million cap hit ($10 million signing bonus and $10 million salary) to have you play here. So, let’s renegotiate (and keep in mind you have a fair bit of leverage). Financially, I’m absolutely screwed this year if I send you packing, so I can’t exactly ask you to take a pay cut. Really, all I’m going to do is the same thing I did in 2015: take money that really should be salary, and call it a signing bonus so I can push the cap hit into future years. I’ll take that $10 million salary and convert $9 million of it into a “signing bonus” and leave $1 million as salary. I’ll also tack on another year to your contract to help spread the cap hit. And for being such a good sport I’m going to throw another $5 million your way in 2018. You’re probably not worth the $14 million cap hit at this time, but it’s better than having you be a $20 million cap hit playing somewhere else. So let’s take this another year forward just for fun. It’s now the start of 2017. You again showed signs of regression on the field and we’d love to cut you. However, if we cut you our cap hit this year would be a $13 million signing bonus from 2017 and $3 million signing bonus from 2018. You’re still a massive salary anchor if we cut you so we do this song and dance again. We’ll take the $10 million salary and turn it into a signing bonus and tack on two more years to the end of the contract moving it to 2020. It will help ease the financial pain this year and there’s no chance on planet earth you’re playing for us in 2020. Again, you’re not worth the $17 million but this is the best we could do given our limited options. Before the 2018 season starts we have another tough decision to make. We can cut you and take a $9 million cap hit, or keep you and take a $10 million cap hit. But the real point of this was for the 2015 and 2016 seasons. We wanted you at a bargain in 2015 but are now paying the price every year after. 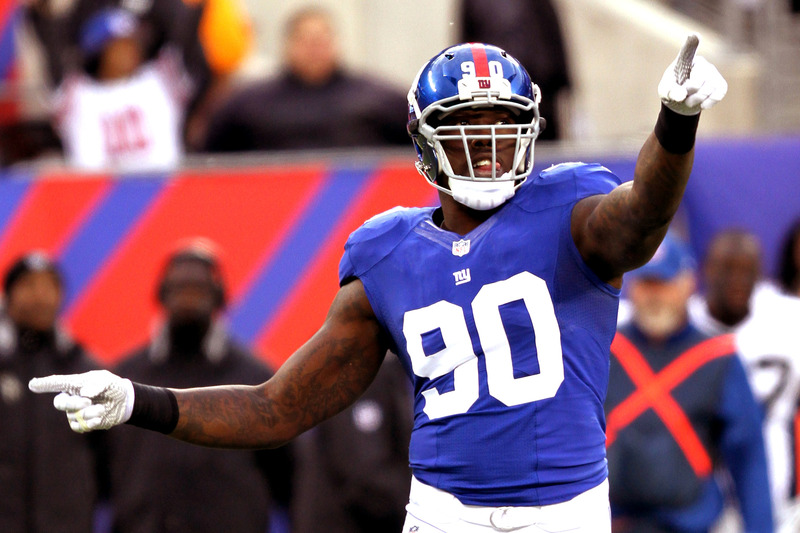 Jason Pierre-Paul is pointing to his signing bonus. There’s one other simple example of how you can cleverly account for contract to help you in the present but harm you in the future. Let’s say I sign you for $50 million over five years ($25 million is signing bonus, only $5 million is salary, and there’s a $10 million roster bonus). Now, the roster bonus is really the key in this situation. In reality it’s a signing bonus that I’m not even going to have to account for until 2017 and here’s why. When 2017 rolls around I’m going to restructure your contract anyway. That $16 million cap hit in one year is too much so I’m going to turn that into a “signing bonus.” Had that amount been a signing bonus on Day One, my 2015 and 2016 caps would have been higher. So, I purposefully deferred the signing bonus until 2017. Less financial pain early, but more pain later. There are a number of other tricks teams can pull to help gain salary cap relief but they are simply small band-aids. The important point is that through the clever use of signing bonuses, roster bonuses and timing you can push your salary cap problems into future years. They don’t go away, they just become problems for Future You, and who cares about that guy! The truth is if the agent can structure a contract correctly, they can take advantage of an NFL GM’s greed and mismanagement, and keep an underperforming player employed years longer than they deserve. CBA, Article 16, Section 6, Paragraph 5: Proration: The total amount of any signing bonus shall be prorated over the term of the Player Contract (on a straight-line basis, unless subject to acceleration or some other treatment as provided in this Agreement), with a maximum proration of five years, in determining Team Salary and Salary. CBA, Article 26, Section 9: Funding of Deferred and Guaranteed Contracts: The NFL may require that by a prescribed date certain, each Club must deposit into a segregated account the present value, calculated using the Discount Rate, less $2,000,000, of deferred and guaranteed compensation owed by that Club with respect to Club funding of Player Contracts involving deferred or guaranteed compensation; provided, however, that with respect to guaranteed contracts, the amount of unpaid compensation for past or future services to be included in the funding calculation shall not exceed seventy-five (75%) percent of the total amount of the contract compensation. The present value of any future years’ salary payable to a player pursuant to an injury guarantee provision in his NFL Player Contract(s), shall not be considered owed by a Club under this Section until after the Club has acknowledged that the player’s injury qualifies him to receive the future payments. Can a player receive all his granted money at one time, be hurt and not play for a year. Does the gurannteed money still hoes to him?